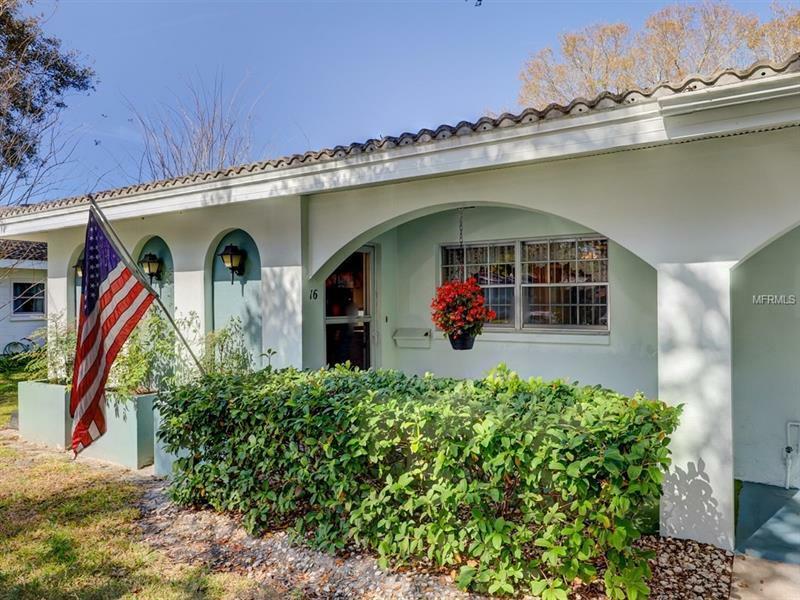 CHARMING VILLA located in Seminole in the beautiful Twin Oaks Community. This is a 2 Bedroom, 2 Bath, LARGE CORNER UNIT with 1355 square feet. Open floor plan with lots of light from the additional windows in this end unit. Inside laundry with full size washer and dryer included. White kitchen with corian countertops, closet pantry, and a lot of cabinet space. Large Master bedroom with an over sized walk-in closet and master bath with walk-in shower. Guest bedroom also has a large walk-in closet. Assigned parking is located just steps to your front door. This is a very active 55+ community that is beautifully maintained with its mature Oak Trees and landscaping. Enjoy the Clubhouse, swimming pool, fitness room, shuffleboard and the bonus of having all of that taken care of for you. Carpeting has just been professionally cleaned. Centrally located and close to grocery stores, restaurants, shopping, the new Seminole Mall, airports and best of all, the gorgeous Gulf Beaches. This is a great place to live!